The concept of the ATM 8700 graphical user interface realises the qualities of “transparency”, “ease” and “comfort”. 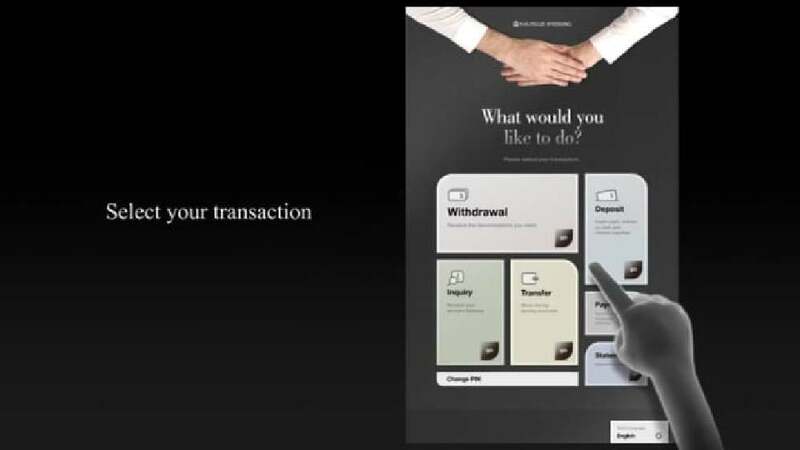 Despite being a virtual experience, this GUI provides customers with a reliable and familiar experience by focusing on emotional communication, as if they were in a real bank. The input and transaction areas have been placed in the same location to make them easy to recognise and use. Furthermore, the complex process of self-banking has been simplified to foster an intuitive and instant reaction and to allow various functions to be accessed in a single step.